Washington: There doesn´t seem to be much love in the air in Washington these days, as a long and bitter government shutdown drags on with no end in sight. But couples whose marriage plans were thwarted by the partial shutdown have gotten a break, thanks to the action of Mayor Muriel Bowser and city council. 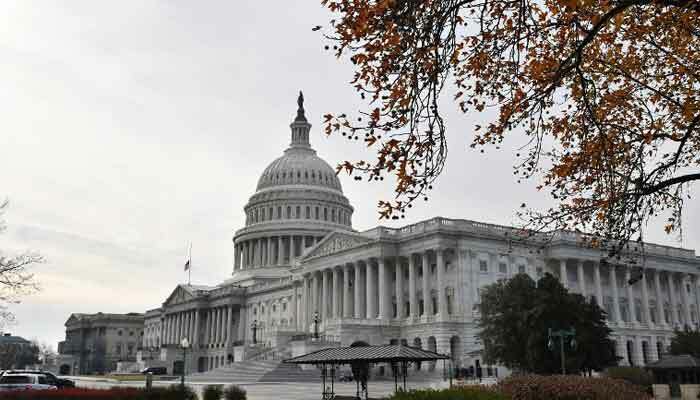 The city´s Marriage Bureau, part of the US capital´s federally funded court system, had been deemed "nonessential" and shuttered as part of the thorny standoff between President Donald Trump and congressional Democrats. But on Friday, Bowser signed an emergency measure authorizing city officials to validate marriages in the absence of the Marriage Bureau, which closed when the budget standoff began on December 22. "They can shut down the US government, but they cannot shut down love in the District of Columbia," City Council member Brandon Todd said when he introduced the measure. Titled the Let Our Vows Endure Emergency Amendment Act, or LOVE act, the law is valid for 90 days and will spare future brides like Claire O´Rourke from finding themselves in Kafkaesque situations. "Practically, we couldn´t sign all the legal certificates during the shutdown without having a marriage license," O´Rourke, a Washingtonian who was preparing to wed fiance Sam Bockenhauer, told AFP. "So we were going to have a wonderful party, of course, but couldn´t be legally married in DC until we got our marriage license." Some couples, like Dan Pollock and Danielle Geanacopoulos, had no time to spare. They managed to get their wedding license on December 27, just two days before their scheduled wedding. "By the time we figured out we couldn´t get a license, we were running out of time before friends and family were coming to Washington to celebrate with us," Geanacopoulos said. "So we focused on the really important thing -- celebrating -- and decided to figure out the rest later." Her mother, Daphne, said she was "delighted." "We had a really great big wedding two weeks ago... (but) it feels wonderful to have it official." For Caitlin Walters, who plans to wed Kirk Kasa on February 2 on the campus of Catholic University, the shutdown was simply "a small speed bump in the road." "Obviously we knew about the shutdown, but we didn´t know that it would directly affect our ability to get married in DC legally," said Walters, a New York resident who was determined to get married in the nation´s capital. But while some have taken the shutdown in stride, it has brought "chaos" to those in the wedding business. "It´s a lot of chaos, it´s a lot of uncertainty," said Rachel Rice, a wedding planner who recently had to shift a wedding ceremony from Washington to nearby Virginia. Even if the shutdown were to end next month, Rice said, "some people might say, ´I can´t wait to book my venue; I have to book my catering, my photographer.´"
On top of that, the approximately 800,000 federal employees sent home or forced to work without pay -- some of them with wedding plans, no doubt -- have just missed their first paycheck and will be forced to scale back their plans. Claire O´Rourke has her own shutdown-related regret. She had hoped to have her official wedding photo taken in the National Portrait Gallery. But like most of the capital´s vast Smithsonian system, the popular museum remains closed.